Proving once again that nostalgia is a hell of a force, Activision scored a surprise hit last year with the Crash Bandicoot N. Sane Trilogy, a compilation of the first three Crash Bandicoot games remade from the ground up for modern consoles. 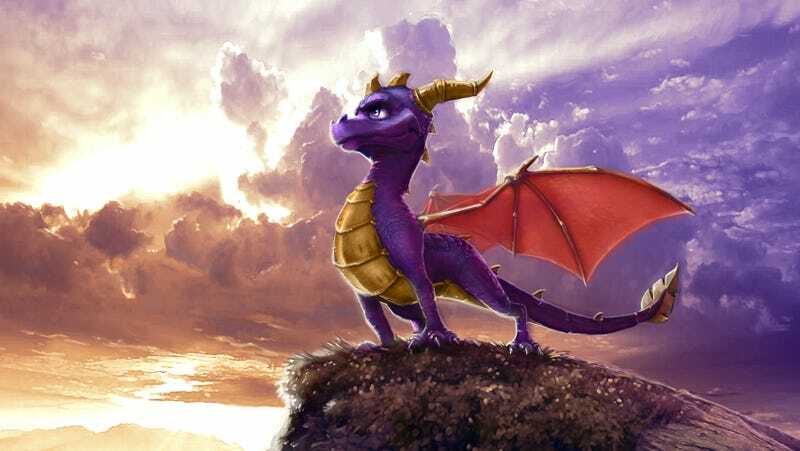 Now, according to a story from Kotaku UK, the publisher is looking to cash in again by bringing back another beloved mascot from the PlayStation era: Spyro The Dragon. The report, which cites “multiple sources familiar with the project,” claims Activision has developer Vicarious Visions, who handled N. Sane Trilogy, remaking the three Spyro games released on the original PlayStation—Spyro The Dragon, Spyro: Ripto’s Rage!, and Spyro: Year Of The Dragon—for a collection set to launch this fall, which would line up perfectly with the 20th anniversary of this sassy teenage dragon’s debut. Exactly as it did for Crash, Vicarious is reportedly giving the games a complete graphical facelift and remastering the soundtrack. And like N. Sane Trilogy, the Spyro collection will be released exclusively on the PlayStation 4, although Kotaku UK notes it would be a one-year exclusive for Sony’s console and could be released on other platforms after that window is up. Interestingly, this report also says N. Sane Trilogy was tied to a similar deal, meaning we could see Crash Bandicoot turning up on new systems later this year. That lines up with other recent reports that Crash’s trilogy would be released on PC and Nintendo Switch at some point in 2018.